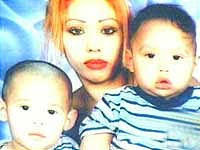 Diana Lopez, age 25, was 19 weeks pregnant when she went to a Planned Parenthood for an abortion on February 28, 2002. She was 19 weeks pregnant. * Failing to institute a necessary change in medical protocol relating to the use of laminaria (used to expand the cervix) in the dilation and evacuation procedure. * Lacking the evidence to show a completed assessment of the competency and credentials of the physician who carried out the abortion. * Inadequately advising against a potentially dangerous second-trimester D&E procedure based on low hemoglobin levels. * Failing to follow proper surgical abortion policy and procedure by administering Cytotec to the patient on day one of the two-day abortion procedure, when policy requires it to be administered 90 minutes before the abortion procedure. * Failing to inform Planned Parenthood‘s governing body of any adverse outcome related to patient care within the facility. * Failing to notify the Health Department of a patient's death within 24 hours of the occurrence. * Keeping incomplete records describing the services provided to Lopez. The fact that the Planned Parenthood has made &quo;corrections&quo; to satisfy the state does not satisfy Diana‘s family. "It was wrong. It was wrong,"; said Judy Lopez, Diana‘s older sister. "She was healthy. She was fine." Just wanted to say thank you for all of the stories that are being shared. I hope that everyone learns from this mistakes.